Ted Spencer has a hard enough time believing the celebrated violin really exists. To find it sitting on his coffee table is nothing short of incredible. The stuff of legend, the exquisite Guarnerius has been missing for centuries. But even though the renowned instrument is a violin lover’s dream come true, it holds only heartache for Ted. The value of the Merino Rose may be beyond measure, but he has acquired it at too high a cost. Ted found his soul mate when he met Olivia de la Vega his senior year in high school. In the school’s production of Camelot, Ted was cast as Lancelot, Olivia as Guenevere. 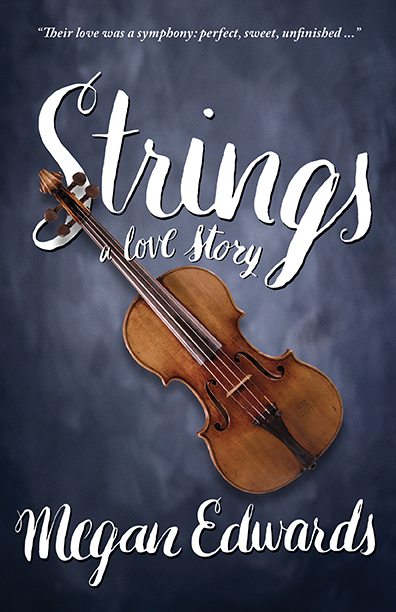 They should have spent their lives together but strings got in the way―family ties, career objectives, and the tangled web of fate. Listen to the music of Strings! Got your own music library? Here are the works, in order of their appearance in the novel. Enjoy!